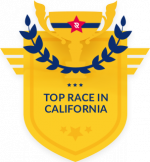 Griffith Park Trail Marathon Relay – Los Angeles' Largest Marathon Relay and Reunion! Los Angeles' Largest Marathon Relay and Reunion! Friends and Family Registration Now Open! Are you ready? Grab four of your closest friends, your baton and run 26.2 miles on a scenic course in the heart of Griffith Park. Finish and celebrate with hundreds of teams from across Southern California in our athlete’s village and tailgate! One of the largest urban parks in the country. Griffith Park is a 4,300-plus acre slice of runner heaven. The grounds include famous sites like the Abandoned Los Angeles Zoo, the Observatory, and the Hollywood Sign. There’s more than 30 trails totaling around 50 miles for runners and hikers. Join us for the Griffith Park Trail Relay Marathon and get a taste of what the second largest city park has to offer. I wanted to do this relay race from the time it started. Finally put up a team last year, and we are solidly going to keep coming back. Boom!